AFS is the brand trusted industry-wide, lending our credibility to your business. Take advantage of one of the most effective ways to use your AFS membership. All while receiving everything else AFS offers. (3) Michigan State University, University of Cincinnati, Florida State University, along with (4) AFS direct-to-consumer research. Your Membership Stands for More! 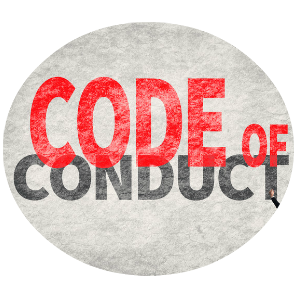 Before joining, all members must agree to the AFS Code of Conduct. It's also highly encouraged to showcase this affiliation. Doing so shows consumers you abide by all laws, treat clients and staff with respect, and conduct business in an ethical manner. 91% of consumers would prefer to join a fitness studio or gym that is a member of a professional association and abides by the association's code of conduct. 86% of consumers if given the option of joining two similar facilities - would prefer to join the studio/gym that's a member of an association. 84% of consumers felt that seeing the association’s logo in a prominent location would have a positive influence on joining that studio! *Insights from a recent AFS consumer survey. Advantage: Assists with converting more prospects to paying members or clients. How To Use: Frame your certificate and display it in high traffic areas. Use it as part of your sales process to differentiate your business. Advantage: Builds trust and generate more leads. 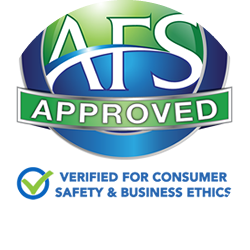 Consumers that see the AFS badge of approval perceive your business as more trustworthy and of higher quality. How To Use: Post the AFS approved and proud member logos on your website ASAP. Advantage: Let’s your community know that you take pride in applying best practices and conducting your business in an ethical manner. How To Use: Post a picture of yourself with your membership certificate on social media! Advantage: Boosts consumer confidence and proves that you’re serious about running your business the right way. 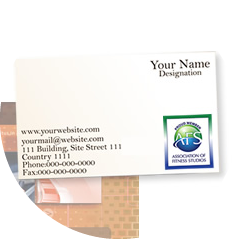 How To Use: Add the AFS logos to your business cards and marketing flyers. Glass door decals are available per request. If you have any questions about how to take advantage of the AFS brand, contact us. I would much prefer having an approved gym with good practices. There are so many problems with poor gym conduct. This would be a priority to me. I think that businesses that join trade organizations are more likely to share and engage in best practices. I like the small fitness place I go to and now I want to check if they're a part of a professional association.